Soon 3,300 lucky owners will receive their street-legal production drag car. The 2018 Dodge Challenger SRT® Demon. 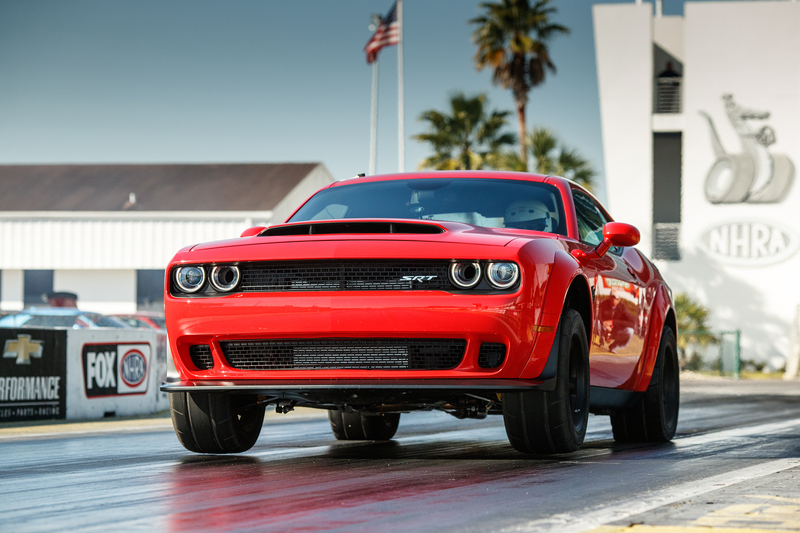 With the capability of achieving 0-60 miles per hour in just 2.3 seconds, the 2018 Dodge Challenger SRT Demon holds the fastest quarter-mile at a staggering 9.65 seconds. This time was certified by the National Hot Rod Association (NHRA). The NHRA then immediately banned the Demon from competition.